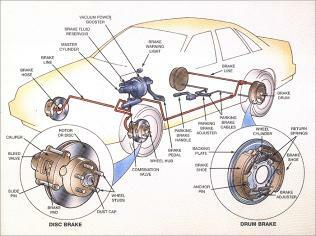 From time to time your car will need more than just servicing, parts wear out and parts fail. Many garages and fast fit centres will quite happily service your car, replace simple items like tyres, or exhausts and charge high prices for a sub standard job. But when it comes to the larger more difficult jobs will tell you to go elsewhere. This is usually because time consuming larger jobs such as head gaskets or clutch replacements can be less lucrative and require more competent mechanics to carry out the work. 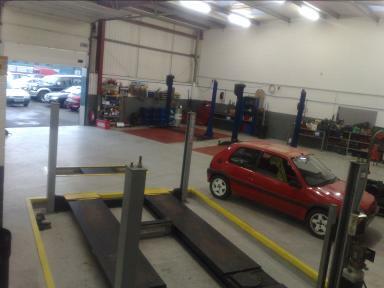 At service your car we will carry out any repair your car requires no matter how big or how small the job is we can do it! Our staff are more than capable at carrying out any repair from a bulb replacement to a complete engine overhaul! And we work to ICME times when we quote so if its a 2 hour job and it takes us 4 you still only pay for 2 hours!! 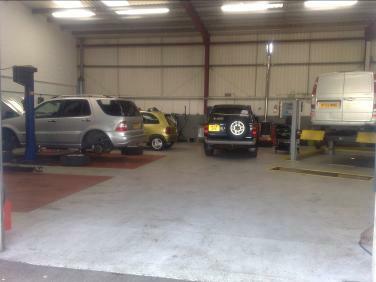 If its a break down or if its a fault found when servicing or MOT testing your car we can repair or replace any part of your car. When we fit brake pads we don't just swap the pads in a rush and send you on your way! We remove the pads checking that they are evenly worn and if they are not find the reason they are not! Usually due to lack of lubrication when last fitted by a fast fit centre! To make sure your brakes stay working correctly for there lifetime we clean all pad contact surfaces, apply anti squeal grease to these surfaces and clean and lubricate all moving parts this ensures that the brake pads do not stick or corrode giving you brake squeal and eventually premature wear of pads, discs and even causing caliper seizure! We always fit brake discs in pairs and with new pads, we clean and lubricate all moving parts and apply anti squeal paste to the pads and contact areas. We meticulously clean the hub to brake disc mating surface as a small spec of dust here can cause serious brake judder after 1000 miles. Once everything is cleaned we reassemble using locktite on all securing bolts and tightening the bolts to the correct torque. This is the only way brakes should be fitted and anyone doing it differently is doing it incorrectly and could not only cost you more money but could endanger your life! A common MOT failure it is recommended that you replace these in pairs. We can fit all types of spring and torsion bar. We can also carry out any kind of suspension repair you require whether it be a bottom arm bush, a shock absorber , ball joint or a mount we can repair, adjust or replace it! We will only use the highest quality parts when it comes to suspension as cheap parts just don’t last! This is just a small selection of repairs we can carry out we can literally repair or replace any part of your car so you don’t need to visit any other garage! For a quote on any repair call us today we will beat any like for like quote within a 5 mile radius! Of work undertaken to the highest of standards at the best prices around!